Washington Capitals forward T.J. Oshie could miss the remainder of the 2019 Stanley Cup Playoffs with a broken collarbone he suffered in Washington's Game 4 loss to the Carolina Hurricanes, according to reports. Jets head coach Paul Maurice spoke after the Jets’ loss to the Blues, saying that with high expectations on the team it feels “painful as hell” to be going home. 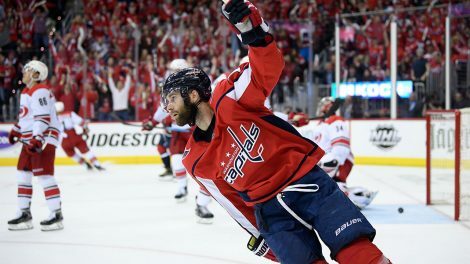 Game 6 between the Capitals and Hurricanes, as well as Stars and Predators are slated for Monday night. Coverage begins at 6:30 p.m. ET. exclusively on Sportsnet. Watch as Scott Oake speaks with Jordan Binnington after the St. Louis Blues eliminated the Winnipeg Jets at home. 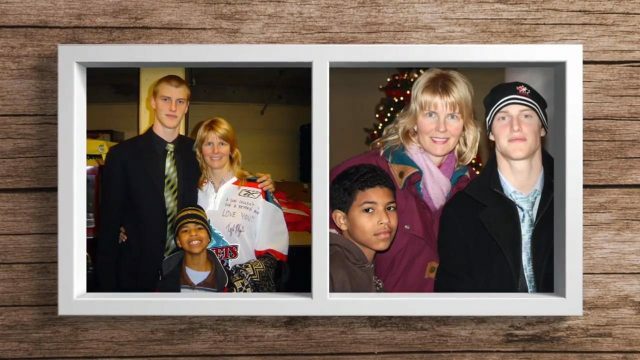 Binnington spoke on the chants he received from Winnipeg fans and if he ever doubted his chance at making the NHL. Jaden Schwartz talks about his game on the ice against the Winnipeg Jets in Game 6 and describes how the Blue played in the series. Jets captain Blake Wheeler spoke after the Jets’ Game 6 and series loss to the Blues, saying the little things in the game were the difference maker. The Winnipeg Jets have been eliminated from the playoffs at the hands of the St. Louis Blues. 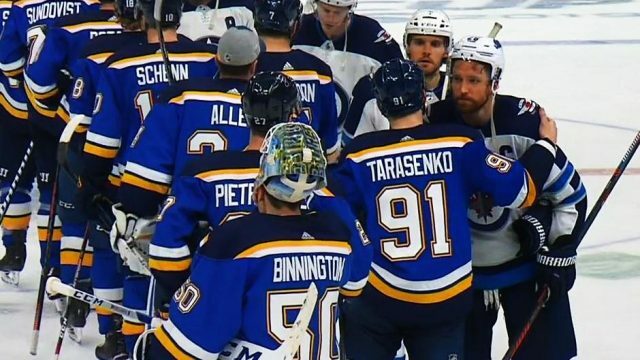 The Jets and Blues exchange handshakes after a tense Game 6 saw Winnipeg get the boot from the Stanley Cup Playoffs. 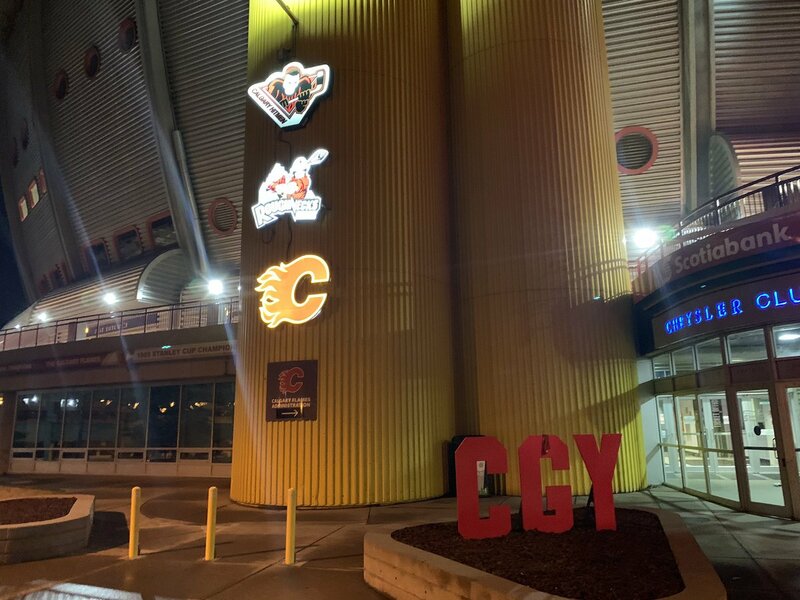 A 3:58 am exit from the Saddledome and another year of Calgary #Flames Radio is in the books. Pretty proud of the group we have on and off the air and it’s a privilege to work with them. Here comes one of the most fascinating offseasons in a long time. #Flames lose game five 5-1, lose series 4-1. Ugly game, ugly series, and a lot of questions about who can get it done at this time of year. Calgary has 2 wins in their last three playoff series. Colorado wins their first series since 2008. They’ll play winner of San Jose-Vegas. #Flames forward Sean Monahan is a finalist for the Lady Byng Trophy along with Florida’s Aleksander Barkov and St. Louis’s Ryan O’Reilly. 82 points and 12 PIM for Monahan this season.